NEW YORK (Reuters) - Shares of General Electric Co <GE.N> tumbled on Friday after a JP Morgan analyst slashed his target price on the stock to a lowly $6, dealing a fresh blow to the U.S. industrial conglomerate's flagging share price. 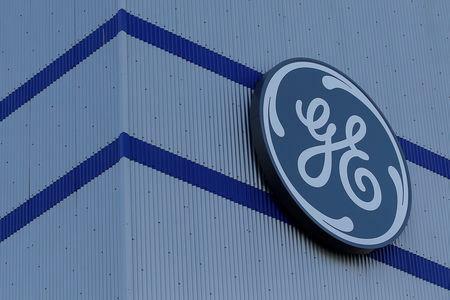 GE shares sank 7.3 percent to $8.44 in afternoon trading, and dropped to as low as $8.15. The stock price fell below $9 for the first time since March 2009, during the throes of the financial crisis. Friday's research note from JP Morgan analyst Stephen Tusa followed GE's third-quarter results late last month, in which the company posted a staggering loss of $22.8 billion and said it faced a deepening federal accounting probe. Tusa, who has long been bearish on the stock, said out of GE's eight reported segments, "all of which were profitable even 2 years ago, 6 are now likely either at or below zero in 2020." "While liquidity is certainly debatable, we believe this is not really about liquidity, it’s about a deterioration in run rate fundamentals," Tusa said. Noting the steep drop for GE shares from $30 in early 2017, Tusa said "this move still does not sufficiently reflect the fundamental facts, in our view." Tusa kept his "underweight" rating on the stock as he cut his price target to $6 from $10. Following Tusa's note, GE spokeswoman Jennifer Erickson said in a statement: "GE is a fundamentally strong company with a sound liquidity position. We are taking aggressive action to strengthen our balance sheet through accelerated deleveraging and position our businesses for success." GE shares, which were booted from the blue-chip Dow Jones Industrial Average <.DJI> earlier this year, have now slumped some 50 percent in 2018 alone. Some on Wall Street are optimistic that new Chief Executive Larry Culp, former head of Danaher Corp <DHR.N> who took over on Oct. 1, will be able to spark a turnaround for the company.